It’s baaaaack. And it’s bigger and more demigodly than ever. The Lightning Thief Musical arrives Off-Broadway beginning March 23. I’m very pleased to share the full press release below. Now you’re thinking: What? Who? How? Huh? Seriously, Percy Jackson dancing and singing on stage? Yep, it’s true! 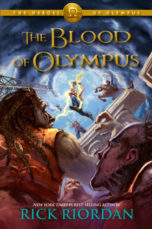 Previous stagings of this play have gotten rave reviews from even hard-core Percy Jackson book fans, and now the play is getting the full Off-Broadway treatment! 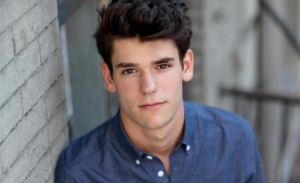 Chris McCarrell is a great casting choice for Percy, don’t you think? Full disclosure: I haven’t seen the play myself, but that is just my own personal quirk. I get weirded-out seeing or hearing adaptations of my written work. I can’t listen to my audiobooks. And the movies . . . well, as you may know, I never saw them, thank the gods. I haven’t seen the play either, but I can heartily endorse it based on feedback from the people I care about most — my readers. They have found it to be a fun, faithful, hilarious adaptation of Percy’s story. So if you can make an off-Broadway production this spring, check it out! Just beware of gorgons and random bolts of lightning, and be on the lookout for incognito gods in the audience. They love seeing plays about themselves. New York: Chris McCarrell, will star in a brand-new production of The Lightning Thief: The Percy Jackson Musical this March at the Lucille Lortel Theatre (121 Christopher Street). Written by Joe Tracz (Netflix “Series of Unfortunate Events”) and Rob Rokicki (Strange Tails), and directed by Stephen Brackett (Buyer and Cellar), the strictly limited engagement will begin performances on March 23, opening on Tuesday, April 4 and will run through May 6, 2017. This new production will feature musical direction by Wiley DeWeese (The Wildness), orchestrations by Wiley DeWeese & Rob Rokicki, choreography by Patrick McCollum (The Bands Visit) and fight direction by Rod Kinter (More Than All the World). 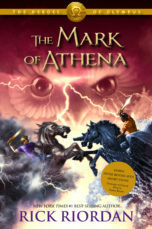 The Lightning Thief: The Percy Jackson is being presented by Theatreworks NYC in arrangement with Rick Riordan and the Gallt & Zacker Literary Agency. Tickets are $85-$65 and can be purchased by visiting www.LightningThiefMusical.com and 866-811-4111. 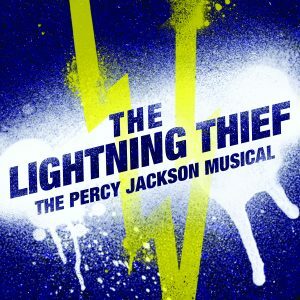 The Lightning Thief: The Percy Jackson Musical was introduced to NYC by Theatreworks USA in 2014 as part of its FREE theatre series, a one hour version with a smaller cast that has successfully toured the country. This is a brand-new production with a new score, an updated, expanded script including a second act, a larger cast and will feature a live band. 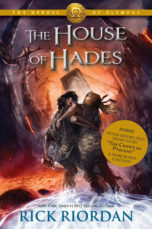 Percy Jackson has newly discovered powers he can’t control, monsters on his trail, and he is on a quest to find Zeus’s lightning bolt and prevent a war between the Greek gods. Normal is a myth when you’re a demigod. 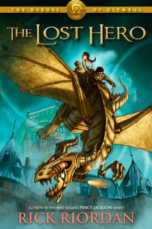 Based on the best- selling Disney-Hyperion novel by Rick Riordan, featuring live music, The Lightning Thief: The Percy Jackson Musical is an action- packed theatrical adventure that will rock your world. Chris McCarrell (Percy Jackson) was most recently seen as Marius in the Tony Nominated revival of Les Misérables. Television credits include Nibs in “Peter Pan Live” and The OA. 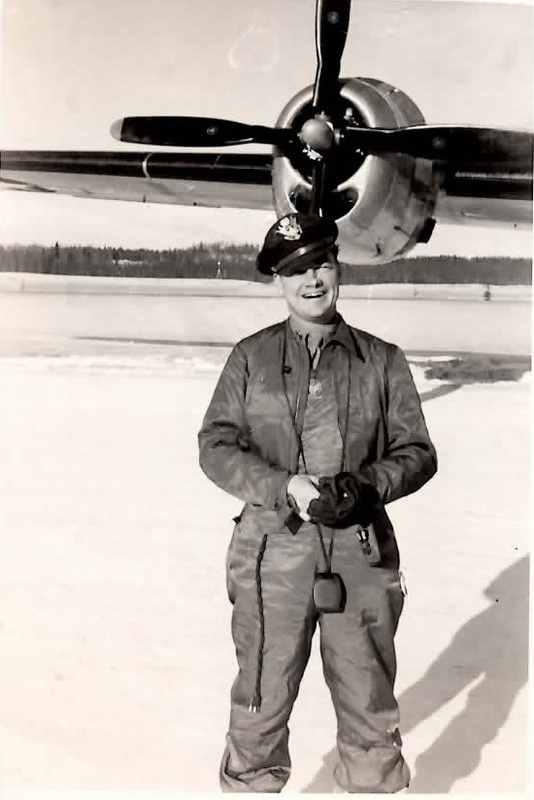 Regionally, Chris starred in Summer of ’42 at Bucks County Playhouse as well as originating the role of Jimmy Livingston in Bubble Boy the musical. Other regional credits include Gabe in Next to Normal, Anthony in Sweeney Todd and Lewis in Pippin. He has sold out concerts at 54 Below with his solo debut and Christmas Carols with Chris McCarrell. Workshops include World Will Not Contain Us, Tesla Drops the Beat and Manhattan Kids. A 2013 graduate of Baldwin Wallace Conservatory of Music. Creative Team Includes: David Lander (Lighting Design), Lee Savage (Set Design), Sydney Maresca (Costume Design), and Ryan Rumery (Sound Design). Begins performances on March 23 – May 6, 2017. Opening night is Tuesday. April 4. Mr. McCarrell, Mr. Tracz, Mr. Rockicki and Mr. Brackett are available for interviews. To arrange interviews or press seats please contact JT Public Relations / joe@jt-pt.net / (646) 481-6583. JOE TRACZ (Book) is a playwright with an MFA from NYU’s Tisch School of the Arts. Williamstown Theatre Festival: the original musical Poster Boy with composer-lyricist Craig Wright (2016), Song for a Future Generation (2015). Joe’s adaptation of the first book in the Percy Jackson series, The Lightning Thief (with composer Rob Rokicki) received a Lortel nomination for Outstanding Musical and is now touring nationally with Theatreworks USA. His musical adaptation of Ned Vizzini’s novel Be More Chill with composer Joe Iconis premiered last summer at Two River Theater. Other plays have been developed with Manhattan Theatre Club, Second Stage, Roundabout, Ars Nova, and The Flea, and published in Best American Short Plays. Film/TV includes the forthcoming Netflix series “A Series of Unfortunate Events” starring Neil Patrick Harris and directed by Barry Sonnenfeld, Epic (20th Century Fox) and Lights Out (FX). Joe is a former Playwrights Realm writing fellow, an alumnus of Theater Masters and the Ars Nova Play Group, and, with Two River Theater and Joe Iconis, a recipient of a 2015 Doris Duke Foundation Commissioning Grant. He has a BA from Kalamazoo College. STEPHEN BRACKETT (Director) Off Broadway credits include: Ultimate Beauty Bible (Page 73), Wringer (NYCCT), Sommerfugl (InViolet), Buyer & Cellar (Rattlestick and Barrow Street Theaters/Westport Playhouse/National Tour/London’s Menier Chocolate Factory), City Of (Playwrights Realm), Carnival Kids (Lesser America), The Lightning Thief (Theatreworks USA), The Correspondent (Rattlestick), After (Partial Comfort), The Material World (Dixon Place), Be A Good Little Widow (Ars Nova), and The Tenant (Woodshed Collective). Regional credits include: I Now Pronounce (Humana Festival), Le Switch (About Face), Be More Chill (Two River), The Great Pretender (TheatreWorks). PATRICK MCCOLLUM (Choreographer) Credits include Oh, Hello! (Broadway and Cherry Lane Theatre); The Band’s Visit (Atlantic Theater Company); Rain (Old Globe), Unknown Soldier (Williamstown Theatre Festival), Wilderness (Abrons Arts Center). As associate choreographer on Broadway: The Last Ship, Peter and the Starcatcher, and Rocky; Wicked (North American dance supervisor); Off-Broadway: Murder Ballad (Manhattan Theatre Club, associate choreographer); Permission (MCC, movement consultant). 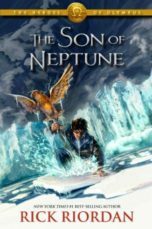 RICK RIORDAN is the #1 New York Times bestselling author of over twenty YA novels, including the Percy Jackson series, the Kane Chronicles, the Magnus Chase series and the Trials of Apollo, with the second book in that series, The Dark Prophecy due out in May 2017. Today over fifty million copies of his books are in print in the United States, and rights have been sold into more than 37 countries, and translated into 41 languages.